The Little Hoover Commission on Thursday recommended overhauling how state and federal agencies are managing the massive, multibillion-dollar effort to restore the Bay-Delta estuary. 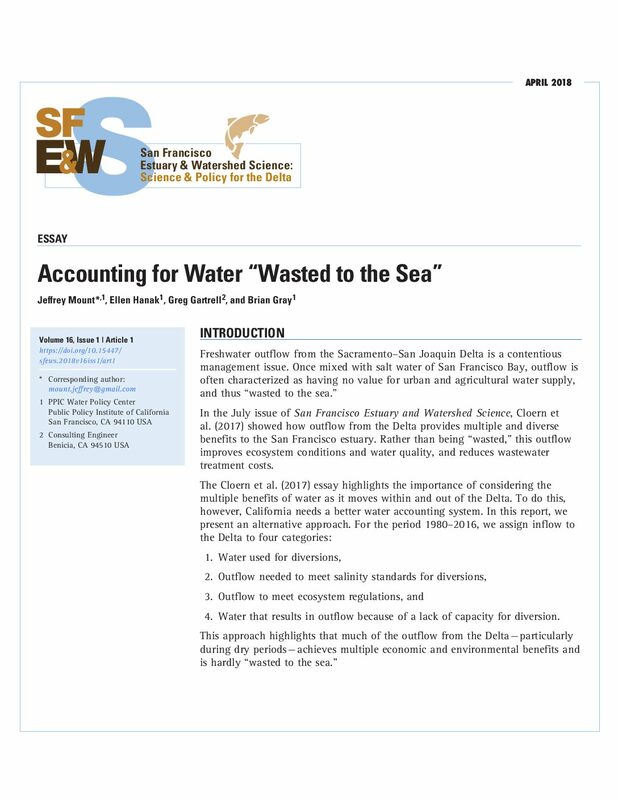 The Commission’s review affirmed the importance of the CALFED Bay-Delta program and the need to fundamentally change how the multi-agency effort is governed. 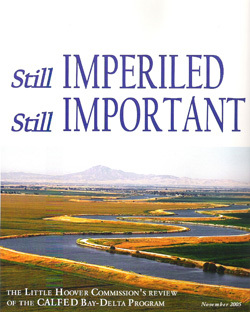 The Commission recommended dissolving the Bay-Delta Authority, which was created in 2003, and creating a stronger management structure that could be held accountable for achieving the program’s four objectives: improving water supply reliability, levee stability, water quality and the ecosystem of the vast, yet fragile Sacramento-San Joaquin River Delta. The Delta supplies water to 22 million Californians, irrigates 5 million acres of farmland and is home to 750 wildlife species. 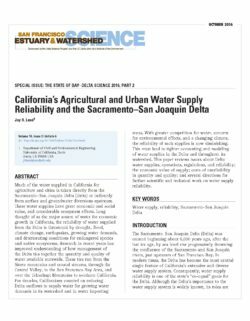 Through CALFED, 24 state and federal agencies were committed to working cooperatively and relying on science and public involvement to improve conditions in the Bay-Delta. But after five years and $3 billion, the Governor and the Legislature have questioned the progress and the ability of the Bay-Delta Authority to lead the effort. The Commission’s review was requested by Governor Schwarzenegger as part of an effort to revitalize CALFED. The Commission concluded that the current structure diffuses authority and fragments responsibility and lacks the focused leadership needed to get adversarial stakeholders and reluctant government agencies to cooperate. 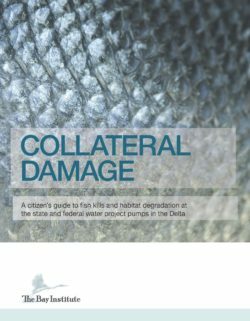 “Because of a faulty design, the Bay-Delta Authority cannot effectively coordinate activities, push agencies to perform, or provide rigorous oversight. It is unable to control or cajole,” said Michael E. Alpert, chairman of the Little Hoover Commission. 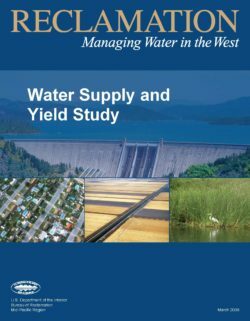 The Commission found that growing disagreements about CALFED’s mission and the role of the Bay-Delta Authority are jeopardizing the critical water supply and restoration effort. The Commission recommended recreating a policy group of public officials, co-chaired by the U.S. Secretary of Interior and the California Secretary of Resources. It recommended deploying performance management techniques to improve progress toward specific goals. And it recommended refinements to the program’s use of a lead scientist and an independent science board to improve decision-making. “The most important factor in CALFED’s success will be leadership,” Alpert said. “One lesson of the last five years is that CALFED will require an amount of political capital and leadership that can only flow from the institution of the Governor.” The Commission’s report includes recommendations for reforming the governance structure of the CALFED program. 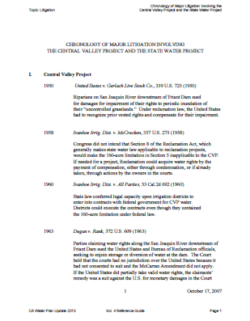 Carriage water is defined as marginal export costs, that is, the extra water needed to carry a unit of water across the Delta to the pumping plants while maintaining a constant salinity. Or more practically, when the exports are increased by one unit, the Sacramento flow is increased by one unit plus carriage water to maintain a constant Delta salinity. 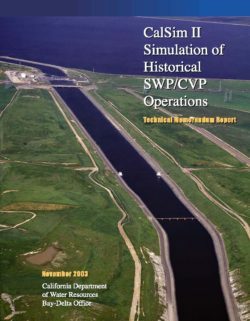 It has been known for several years that the current method of estimating carriage water in DWRSIM, called the Minimum Delta Outflow (MDO) Routine, is not particularly accurate in individual years and a better method needed. 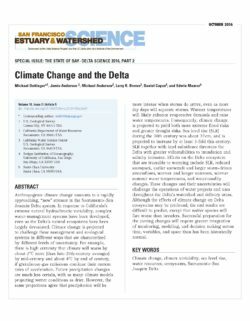 The Delta is a complex system and past attempts at developing a useful method for measuring carriage water and ultimately an MDO replacement always had at least one major flaw. 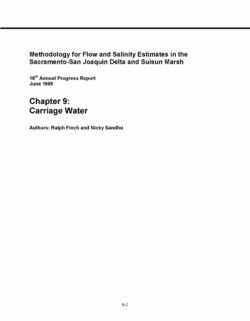 An attempt was made to search for carriage water directly in the historical data, that is, to find a period of time when Net Delta Outflow (NDO) is fairly constant, but Sacramento flow and exports are increasing. If carriage water existed, salinity at interior Delta stations should increase. While there are a few times when this seems to be true (e.g. 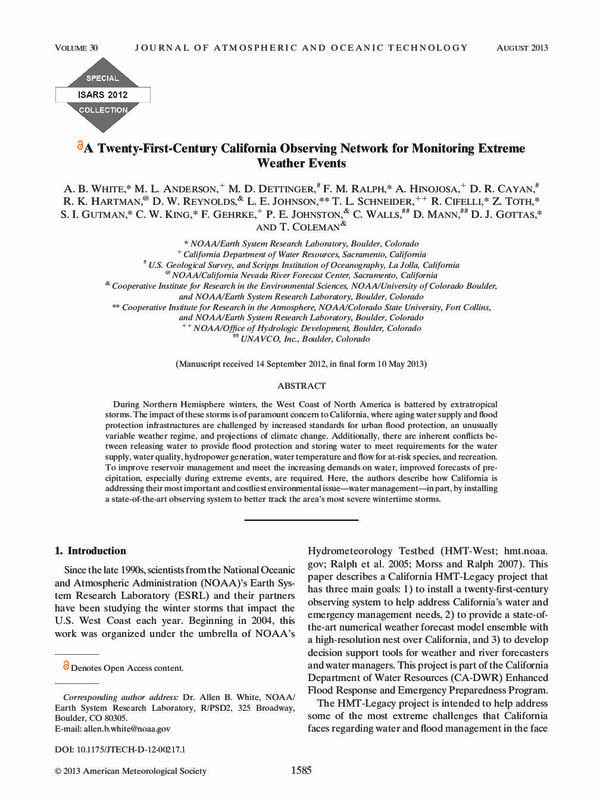 summer 1979 and 1994), the salinity increase could also be explained by antecedent conditions, that is, previous to the period of constant NDO, NDO was much higher, and the salinity increase could be simply due to the Delta gradually reaching new equilibrium. Thus it became apparent that only a model of the Delta could say anything about carriage water.